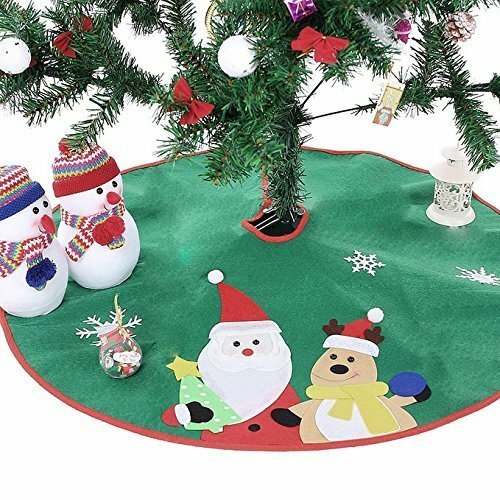 This Ohuhu Santa and Reindeer Christmas Tree Skirt can fit most sizes of Christmas tree. Its special design is eye-catching and full of holiday atmosphere. It is s perfect choice for Christmas tree decoration. -Product dimension: 36" x 18" x 0.8"
-Package dimension: 18.1" x 17.3" x 0.8"